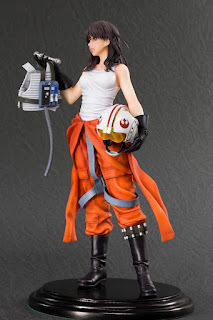 Star Wars is now officially joining Kotobukiya’s lineup of Bishoujo (Japanese for “beautiful girl”) statues! All the lovely ladies of all eras of the Star Wars Universe reimagined like never before. First up is ace pilot,Jedi, and daughter of Han Solo and Princess Leia: JAINA SOLO! 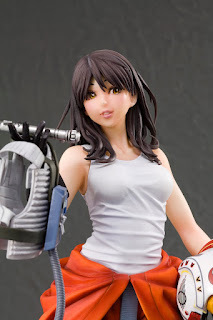 One of the most popular characters in the Expanded Universe, Jaina has appeared in numerous novels and comic books that take place after the events of Return of the Jedi and now comes to you in a fantastic Bishoujo statue based on an illustration by master Japanese illustrator Shunya Yamashita. 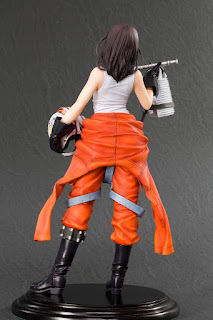 A skilled pilot who became a member of the illustrious New Republic Rogue Squadron at the age of 18, Jaina Solo strikes a casual pose in her iconic orange flight suit, the same outfit worn by pilots for generations (including Luke Skywalker in the Battle of Yavin). But the pretty young Jedi puts her own spin on the uniform, wearing it stripped down to the waist to reveal her tank top. Meanwhile, Jaina holds her helmet in one hand and her flight vest and lightsaber in the other. Like all Bishoujo statues the cute Jedi has an incredible sculpt, with intricate outfit details like folds and straps. The highlight is of course Jaina’s beautiful Bishoujo-inspired face! Standing 9 inches tall (1/7 scale) on a special display base incorporating the Rogue Squadron emblem. 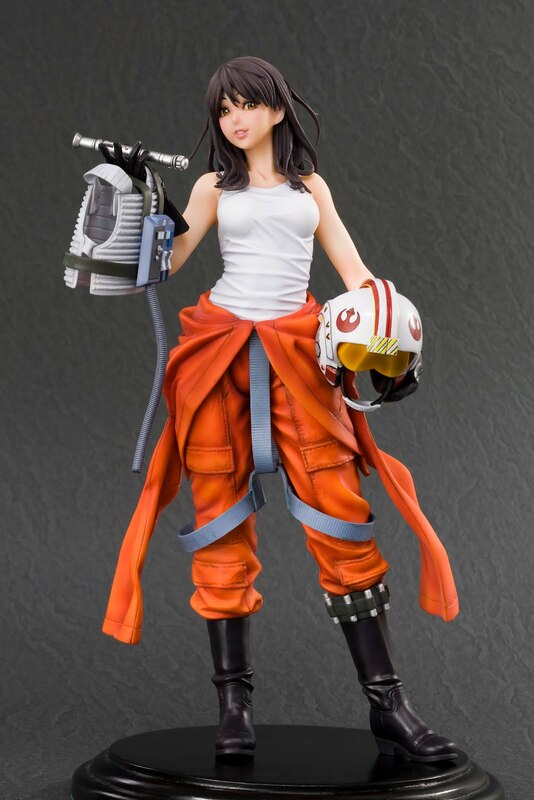 Not only is Jaina the first Star Wars Bishoujo Statue, she’s also the first Extended Universe character brought to life by Kotobukiya. 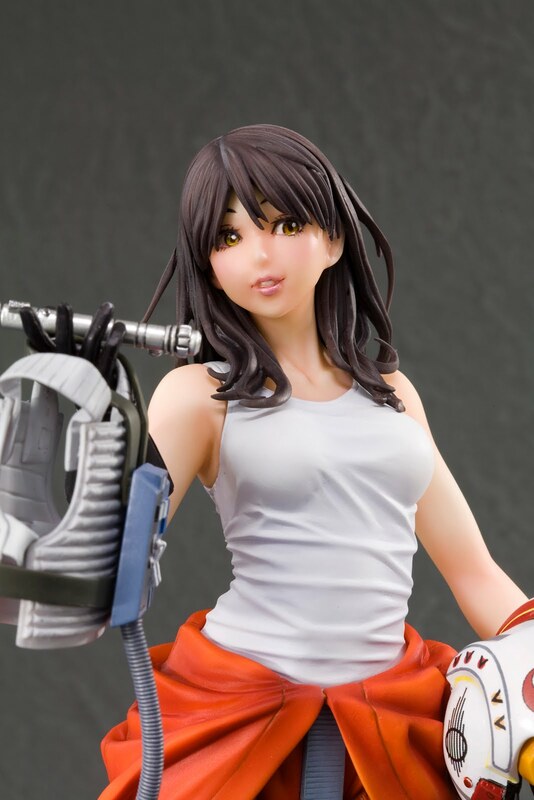 She looks great on her own, and she’ll make the perfect addition to any Star Wars or Bishoujo collection! 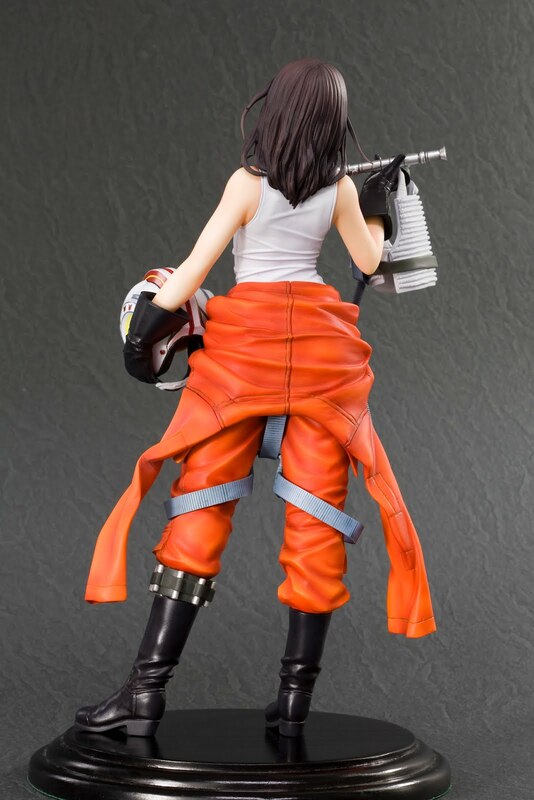 Available December 2012 and a sale price of $64.99 it should make a great christmas gift for any Star Wars or Kotobukiya fans.